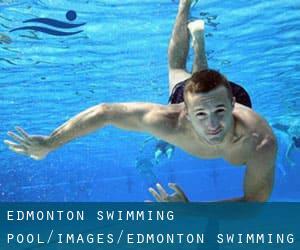 The best varieties of Edmonton Swimming Pool are located primarily in major cities, but it's also easy to find public pools in rural locations. Please have a look at the pools swimmers like you've got reported near Edmonton. Please, report any Edmonton Pool not listed here. Traveling to Edmonton? This can be the right spot on the internet to find locations to swim in Edmonton. Each day you are not swimming you will be losing precious time in improving your skills to be a better swimmer! No more excuses! Come across your nearest Edmonton Pool and tell us how it went. Are you on holiday and would like to keep fit and healthy? Swimia.com offers you the easy and quickest technique to locate Aquagym in Edmonton near your current location. There are often discounts readily available to senior citizens and tiny children for independent swim. 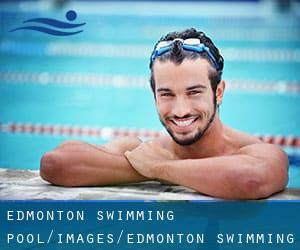 Find out by contacting your nearest pool among these varieties of Edmonton Swimming Pool. We probably do not know all the Pools in Edmonton. Are you missing any? Contact us!. Updated on 2019 10211 102 Avenue N. W. , Downtown , Edmonton , AB , CANADA (Postal Code: T5J 0A5). This sports centre delivers 25 meters, 5 lanes, Indoors. For this Pool, only phone number is number here. 14528 - 66 Street N. W. , North , Edmonton , AB , CANADA (Postal Code: T5C 4R7). This sports centre offers 25 meters, 4 lanes, Indoors. Contact info for this Swimming Pool like phone number and e-mail address are number. 13808 - 111 Avenue N.W. , West , Edmonton , AB , CANADA (Postal Code: T6J 0T8). Among all of the activities supplied by the centre, if you're interested in swimming you will appreciate Olympic size, 8 lanes, Indoors. If you'll want to make contact with this Pool, email address and phone number are both number. Updated on 2019 7121 - 178 Street N.W. , Southwest , Edmonton , AB , CANADA (Postal Code: T5T 5T9). This sports centre gives 25 meters, 6 lanes, 1 meters - 2.4 meters depth, 1 meters - 2.4 meters depth, Indoors. For this Pool, only phone number is number here. Updated on 2019 11510 - 153 Avenue, N.W. , Castle Downs , Edmonton , AB , CANADA (Postal Code: T5X 6A3). Among all the activities offered by the centre, in case you are thinking about swimming you may appreciate 25 meters, 6 lanes, 1 meters - 3 meters depth, 1 meters - 3 meters depth, Indoors. Just in case you want to contact this Swimming Pool prior to dropping by, we only know the phone number. Updated on 2019 1975 - 111 Street, N.W. , South Central , Edmonton , AB , CANADA (Postal Code: T6J 7C6). Among all of the activities offered by the centre, if you are interested in swimming you will enjoy 25 meters, 6 lanes, 1 meters - 2.5 meters depth, 1 meters - 2.5 meters depth, Indoors. Just in case you want to get in touch with this Swimming Pool before dropping by, we only know the phone number. 8804 - 132 Avenue N. W. , North , Edmonton , AB , CANADA (Postal Code: T5E 0T8). Among all the activities offered by the centre, for anyone who is keen on swimming you will enjoy 25 meters x 15 meters, 6 lanes, Indoors. If you have to contact this Swimming Pool, e-mail address and phone number are both number. 11204 - 43 Avenue N. W. , Southwest , Edmonton , AB , CANADA (Postal Code: T6J 0X8). Swimmers like you reported 25 meters, 6 lanes, 1.4 meters maximum depth, 1.4 meters maximum depth, Indoors. Phone number and e-mail address are number for this Pool. 114 Street & 89 Avenue N.W. , South Central , Edmonton , AB , CANADA (Postal Code: T6G 2H9). Few days ago a regular user of this centre told us they offer 25 meters x 23 meters, 6 x 6 lanes, Indoors. Furthermore, they keep in good conditions 23 meters x 12.8 meters, 6 lanes, Indoors. Contact information and facts for this Swimming Pool for instance phone number and email address are number. 2051 Leger Road NW , Terwillegar , Edmonton , AB , CANADA (Postal Code: T5W 0P3). This sports centre offers Olympic size, 8 lanes, Indoors. Contact info for this Swimming Pool like phone number and e-mail address are number. 10700 - 104 Avenue N. W. , Downtown , Edmonton , AB , CANADA (Postal Code: T5J 4S2). This sports centre delivers 25 meters, 6 lanes, Indoors. For this Swimming Pool, only phone number is number here. 10450 - 72 Avenue N.W. , Southeast , Edmonton , AB , CANADA (Postal Code: T6E 0Z6). Among all the activities provided by the centre, if you are interested in swimming you'll enjoy 25 yards, 4 lanes, Indoors. If you should contact this Swimming Pool, e-mail address and phone number are both number. 11430 - 68 Street N.W. , North , Edmonton , AB , CANADA (Postal Code: T5B 1N7). Among all the activities offered by the centre, for anyone who is considering swimming you will get pleasure from 25 meters x 16 meters, 6 lanes, Salt Water, Indoors. If you'll want to contact this Swimming Pool, email address and phone number are both number. 9100 Walterdale Hill N.W. , Southwest , Edmonton , AB , CANADA (Postal Code: T6E 2V3). This great and large sports centre lets professional swimmers like you enjoy Olympic size x 25 meters, 10 lanes x 18 lanes, 2 meters - 2.3 meters depth, 2 meters - 2.3 meters depth, Indoors. Additionally, within these facilities you can try Olympic size x 17 meters, 6 lanes, 1.1 meters - 1.4 meters depth, 1.1 meters - 1.4 meters depth, Indoors. Phone number and e-mail address are number for this Pool. 13025 - 112 Street N. W. , West , Edmonton , AB , CANADA (Postal Code: T5E 6E4). Swimmers like you reported 25 meters, 5 lanes, Indoors. Phone number and e mail address are number for this Swimming Pool. Enjoy the best indoor pools in Edmonton and don't worry about the weather. These facilities are open all seasons and you can enjoy a swim at the same temperature every day of the year. If you're tired of having eyes and irritated skin, acquiring a saltwater pool in Edmonton could be the remedy. You must understand that the level of salt from these pools is nicely below the level of salt from sea water, particularly they are talking about a tenth or much less. One with the benefits of outdoor swimming in Edmonton is the possibility to sunbathe during the summer season. Taking it with extra care, sunbathing is healthy given that introduces Vitamin D into the body, so the very best alternative seems to be switching between indoor and outdoor pools depending on the season. There are many alternative treatments to chlorination, with good advantages that ensure better water quality in the pool. One possibility may be the mineralizer, which purifies water naturally and significantly decreases the chemicals utilized and maintenance time. Try Chlorine Free pools in Edmonton. There are several factors why you should choose a heated swimming pool in Edmonton. The most significant one relies on the importance of keeping the body temperature stable. If the water is as well cold, your body will try to warm it up and you will shed strength to swim properly.